Happy Wednesday, dear readers! I hope you have been enjoying the week thus far and maybe even have something fun planned for the weekend. At the time of my last post, I very mistakenly thought that my son was on the mend, but he proved me wrong that night. He kept me busy and away from my blog for the past week, but I am cautiously optimistic this time. I do appreciate you all for sticking with me through my unexpected absence! Now to a review! 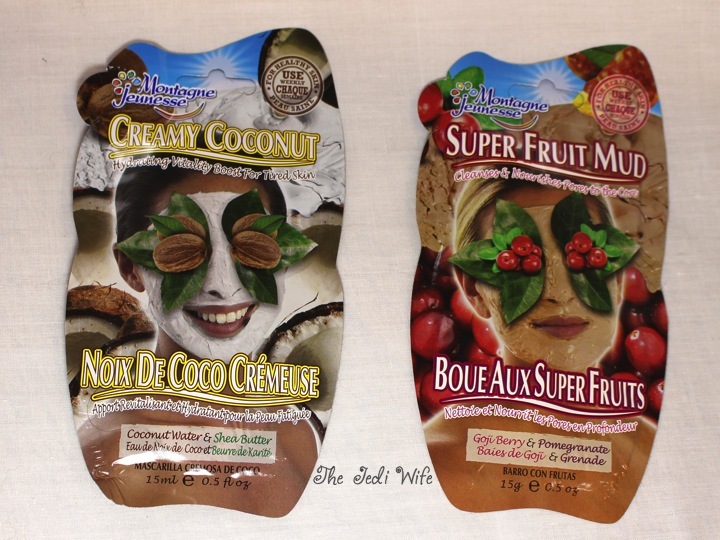 I was sent a few face masks by Montagne Jeunesse to review, and I'll have reviews for each of them posted as I test them. My skin is sensitive, and I like to give time between new products to ensure I have no delayed reactions, and if I do, I can include those in my review. 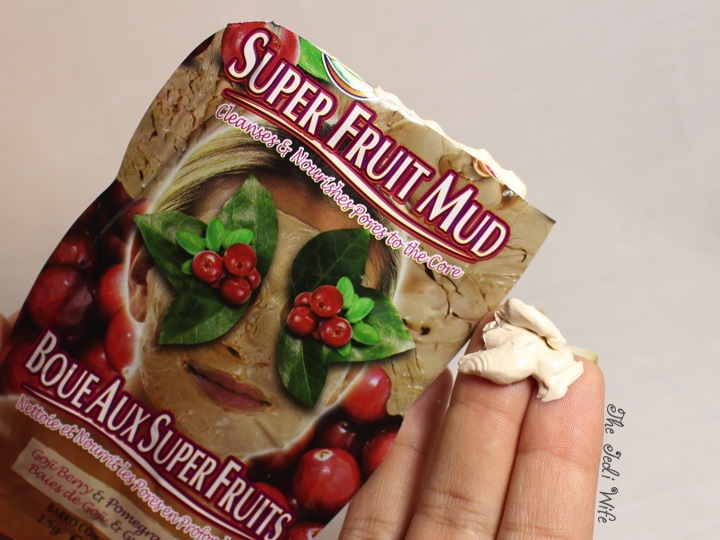 For today's post, I'm going to review the Super-Fruit Mud mask. 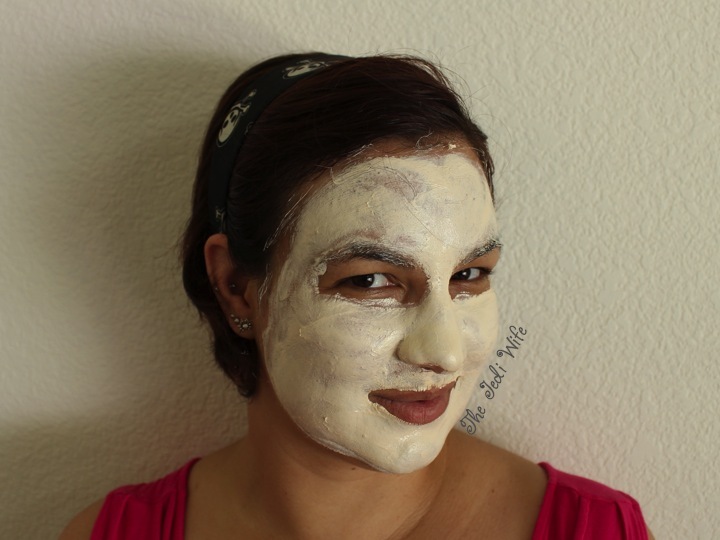 This particular mask uses Goji berries and pomegranate to protect against the drying effects of environmental stresses. 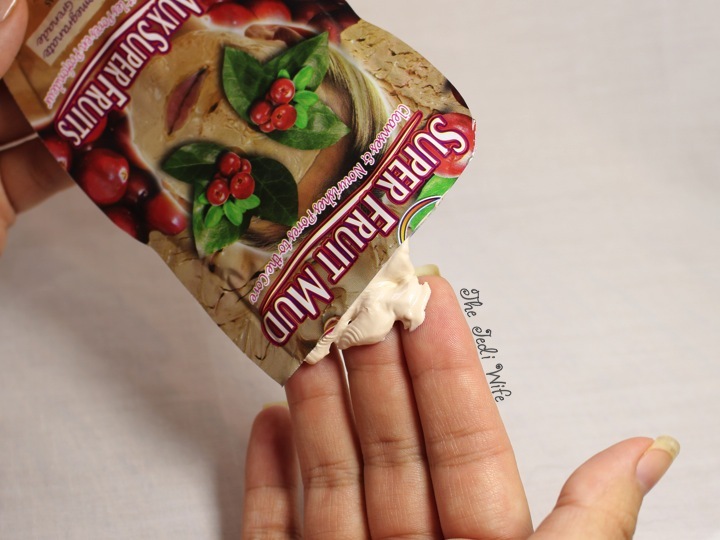 There is a little notch you use to open up the pouch, but the resulting opening was too small for me to easily get the thick mud out. I ended up pulling out a pair of scissors and cutting the top off. This is only a small portion that was contained inside the package. It is nice and thick. Let's spread this baby on! Beautiful, right? Haha! This mask is a little thick, but it spread pretty easily for me. You can see some areas where it is a little thicker on my face and where some managed to work its way into my hair. When I first put this on, my skin started to tingle and my eyes started to water. I decided to wait it out a few minutes, and at that time, the tingle was no longer noticeable and my eyes were fine. After wearing this mask for 20 minutes, I used warm water and a washcloth to gently remove it from my face. The results were quite impressive! 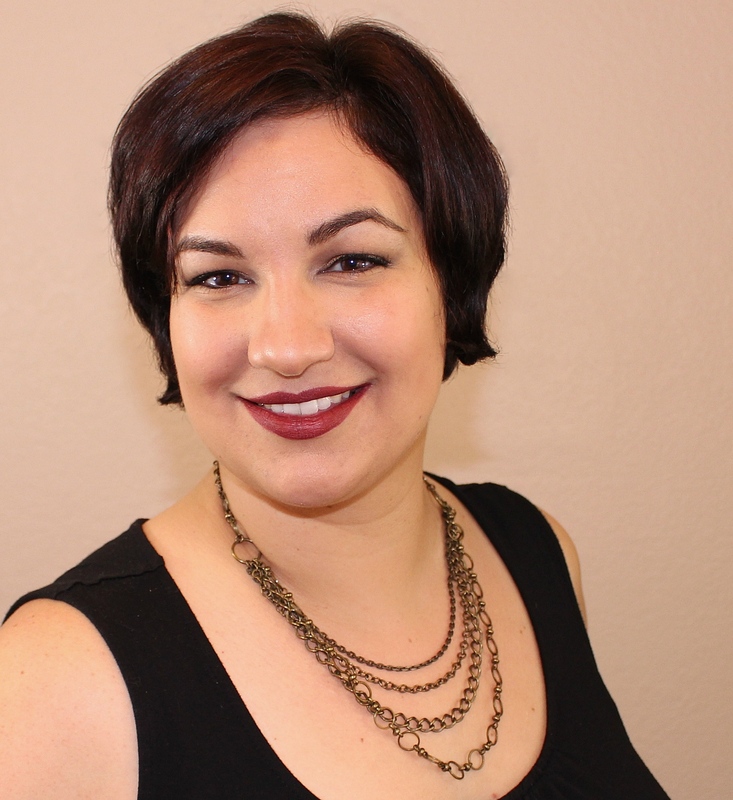 My skin felt a little tighter and smooth, and even better, it wasn't too dry! Often masks are a little drying for me, but that was not an issue with this one. Other than the little bit of tingling which resulting in eye watering upon first application, I did not experience any negative effects with this mask. 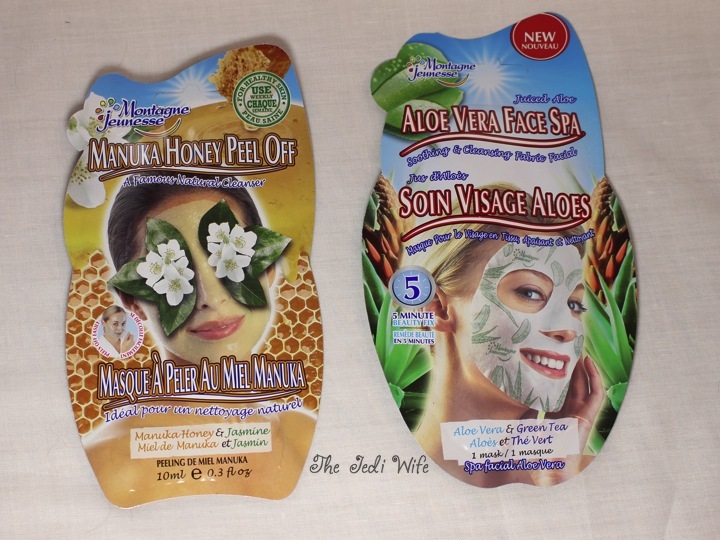 Montagne Jeunesse is currently giving away 50 masks! You can enter here, and tell them I sent you! They are going to be drawing winners in the June and again at the end of July. 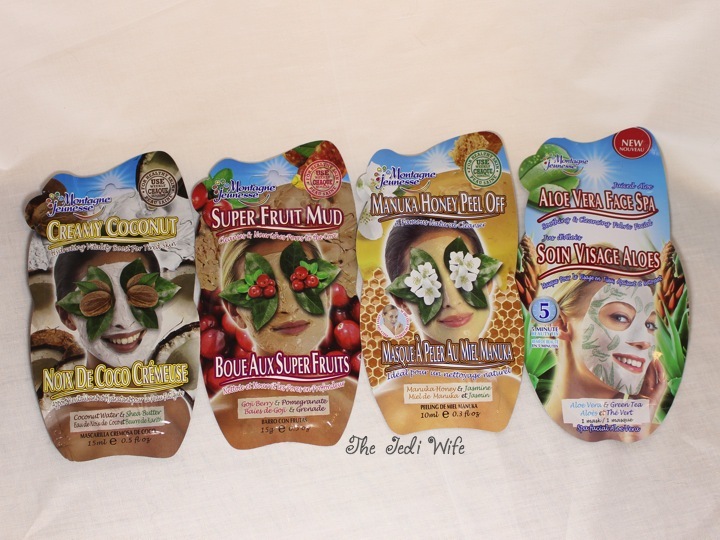 You can find many of these masks at your favorite drugstores and at Ulta. Be sure to follow Montage Jeunesse on Facebook for announcements and product previews. 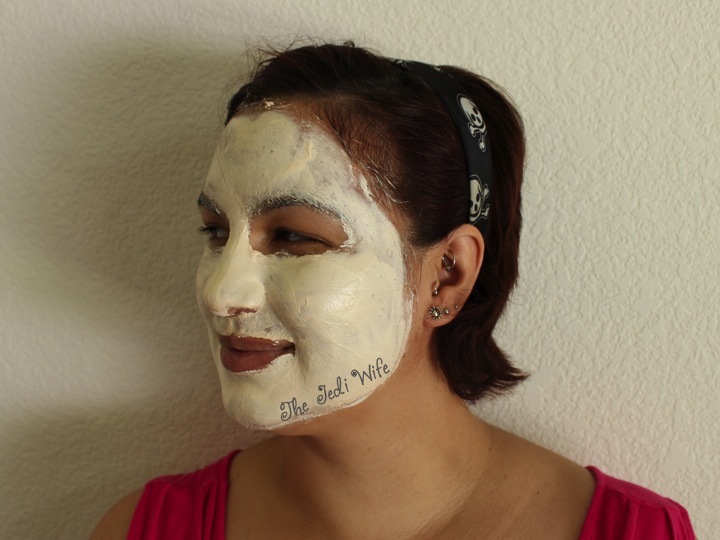 I love at-home masks! I've used other ones from this brand, but not this one in particular. So fun!